Buy the Spin 7 if you want the thinnest Windows 10 2-in-1 around – but not if you want the fastest. When reviewing a new PC, it’s sometimes easy to find yourself comparing it to the wrong alternatives, or maybe looking at the PC from the wrong angle. Maybe you find yourself comparing a gaming notebook to a thin-and-light machine and thinking it’s too heavy, or the other way around, and thinking the featherweight is underpowered. Then, as you spend a little time using the PC, you discover that you’re just looking at it the wrong way. Suddenly the PC starts to look like a better machine. Such is the case with the Acer Spin 7, which plants a low-power Kaby Lake Core i7-7Y75 into an incredibly thin chassis. At first glance, the Spin 7 looks like yet another attempt to put thin-and-light design ahead of performance and battery life, but when you stop to consider its likely uses, it comes together as a more appealing option. Unfortunately, the price for our review unit’s 8GB of RAM and 256GB SSD is $1,250, and that’s a lot to ask for a system with modest hardware. 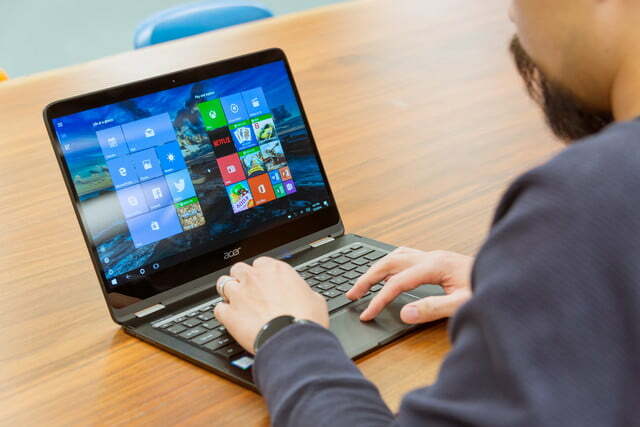 At .43 inches thick and weighing 2.65 pounds, the Acer Spin 7 really is a thin and light Windows 10 Laptop. 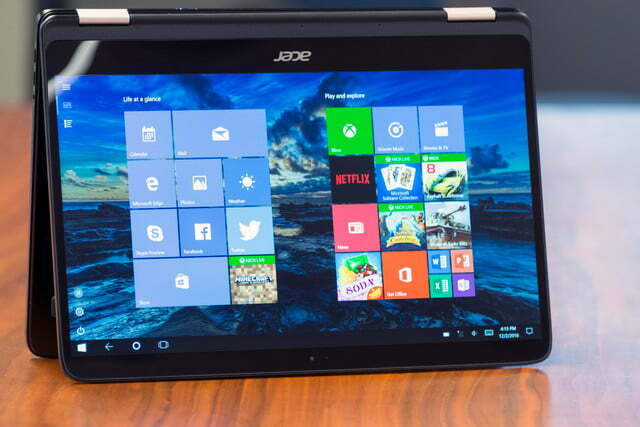 In fact, Acer touts it as the thinnest Windows 10 2-in-1 available. Like most of its peers, the Spin 7 accomplishes its transformation with a 360-degree hinge. The Spin 7 is also surprisingly solid, with its aluminum-magnesium chassis that feels like it’s carved from a single piece of metal when it’s closed tight. 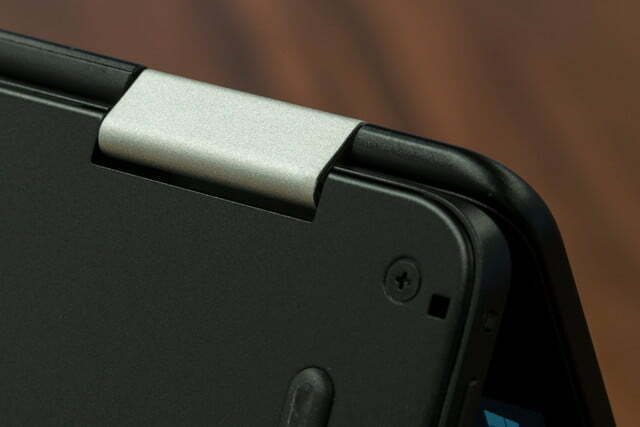 The hinge is firm, and easily swivels the screen while keeping it reliably in place in its various configurations. The screen is also durable, demonstrating minimal flexing when reasonable pressure is applied, and it uses Gorilla Glass 4 to protect against cracks and scratches. 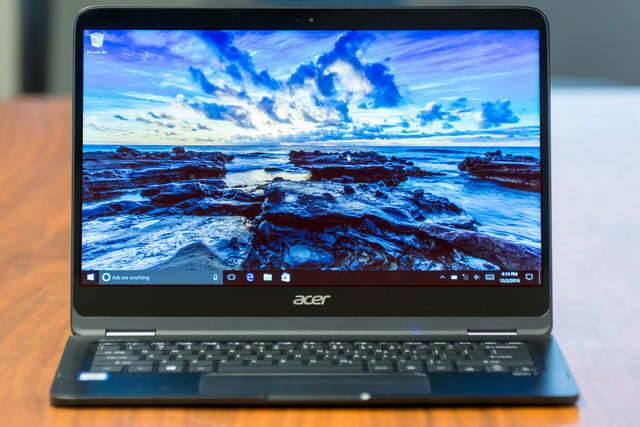 Acer follows the current trend of minimizing the display’s bezels, with slim black strips on the left and right sides, and minimal bezels on top and bottom. Still, the Spin 7 has the webcam right where it should be above the display, preferable to the up-nostril view provided by machines like Dell’s XPS 13 and Lenovo’s Yoga 910. 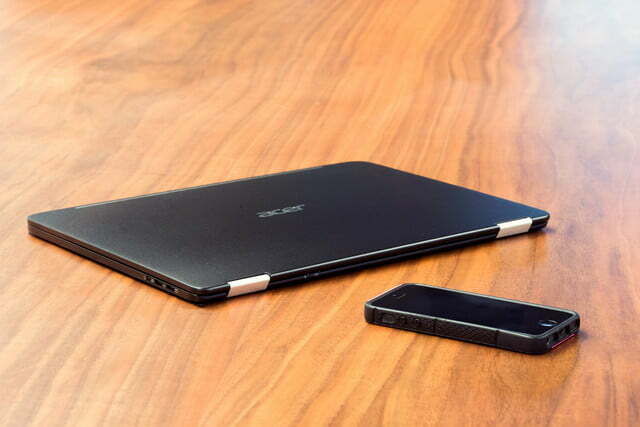 Like many thin and light machines today, notably Apple’s latest MacBook Pro line, the Acer Spin 7 skimps on connectivity. It has just two USB 3.1 Type-C connectors that can supply power and transfer data, and one of them is used to power the notebook. Acer does include USB Type-C to USB Type-A, and HDMI adapters to make it possible to connect to your existing legacy devices. Wireless connectivity is robust, with a 802.11ac Wi-Fi adapter that provides 2×2 MU-MIMO support. 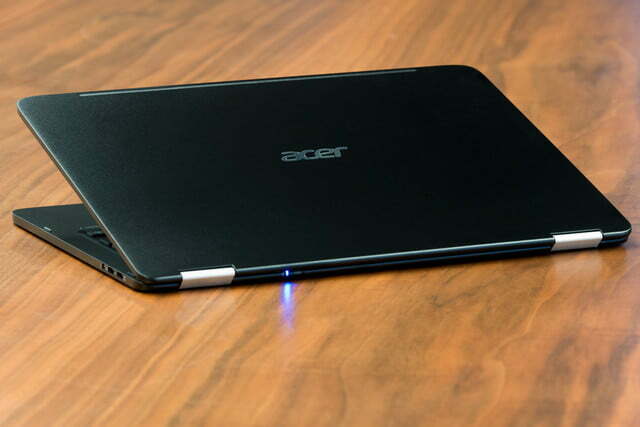 Bluetooth 4.1 rounds out the Acer Spin 7’s connectivity. 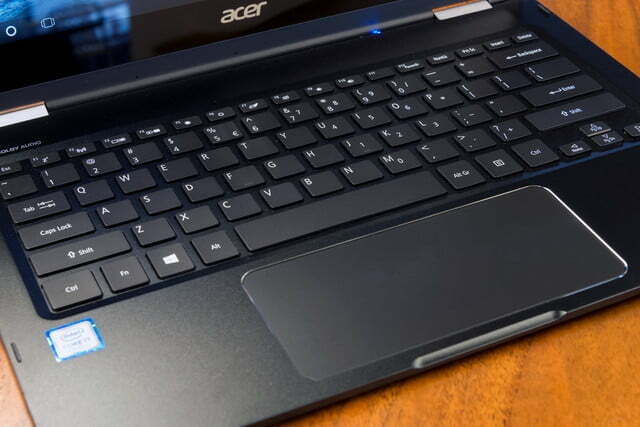 The Acer Spin 7’s keyboard is surprisingly good. It has above-average travel for its class of machine, with a nice springy feel that doesn’t bottom out uncomfortably. Key spacing is good, and there aren’t any keys that are particularly small or oddly spaced. It’s also relatively quiet. Overall, the keyboard should support fast touch typists without meaningful compromise. Unfortunately, the keyboard isn’t backlit, so you’ll be hunting around a bit for the home row if you’re using the Spin 7 in lower light conditions. 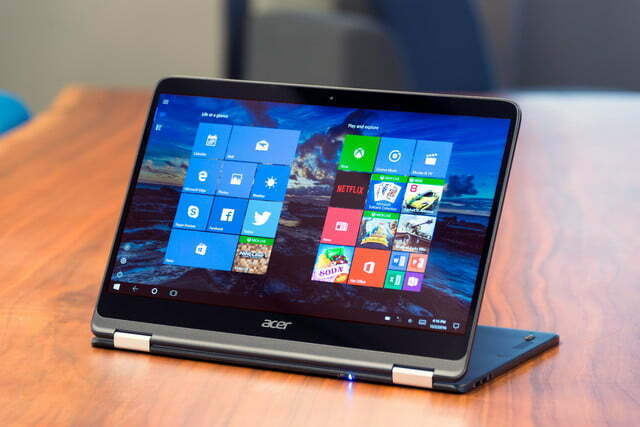 Acer touts the Spin 7 as the thinnest Windows 10 2-in-1 available. The touchpad, on the other hand, takes getting used to. It’s unusually large, mimicking the screen’s 16:9 aspect ratio and stretching across most of the keyboard deck. Because it’s so large, it’s impossible to type without placing your palms on it, and while palm rejection is good, the button response is sensitive enough that the slightest pressure while typing can register a click. 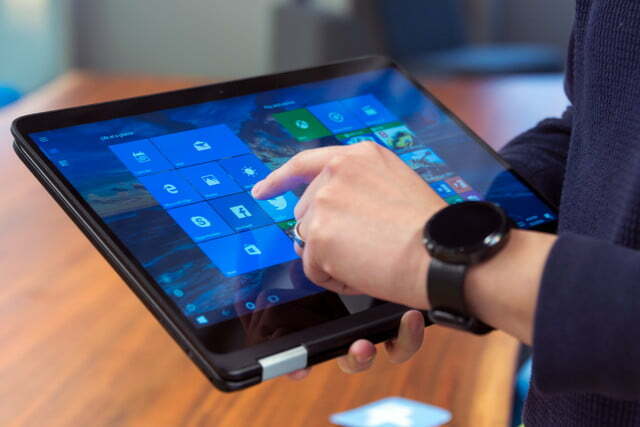 On the plus side, the touchpad supports Microsoft’s Windows 10 Precision Touchpad protocol, which means many multi-touch gestures are available, including some you probably don’t know about. The touchpad is smooth, its responsiveness and accuracy is excellent, and the buttons are nice and clicky without being too loud or — other than the issue while typing mentioned above — too sensitive for comfortable interaction. The touchscreen offers another way to interact with the machine, and it’s plenty responsive, as well. The Gorilla Glass 4 offers some confidence that you won’t damage the screen will poking away at it. This is where the Spin 7’s size pays off. Though still a bit large and heavy for an everyday tablet, it feels noticeably slimmer in-hand than, say, the HP Spectre x360, and it’s more comfortable to use as a result. 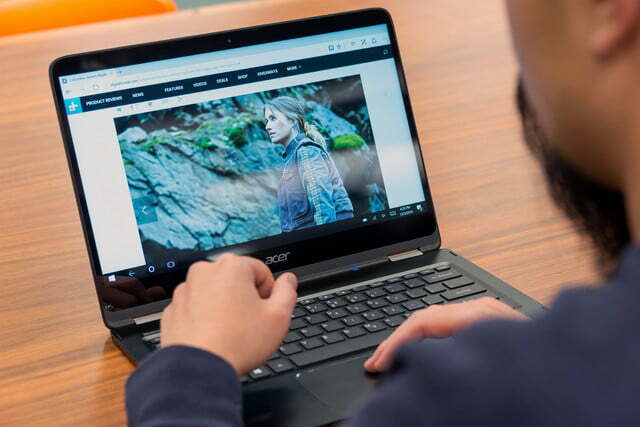 The Acer Spin 7 follows the recent trend of scaling back display resolution from stratospheric QHD heights and limiting it to Full HD (1,920 x 1,080) resolution. This saves battery life and display thickness, and makes the machine good enough for HD video. Those things make sense in a machine that’s as thin and light as the Spin 7. However, the Spin 7’s display is also 14 inches, rather than the usual 13.3 inches in machines like Acer’s own Swift 7 and HP’s Spectre x360. Therefore, the Spin 7 comes in at 157 pixels per inch compared to the 165 enjoyed by some other machines. That’s not a huge difference, granted, but those laptops are already on the low end of what modern laptops offer. If you’re a pixel peeper, then you’re going to notice just a smidgen less crispness in on-screen text. At normal notebook distances, the Spin 7’s resolution is likely fine for most people, but held at tablet lengths, those pixels are a little more noticeable. If you’re someone who demands crisp text and sharp images, then the Spin 7’s lack of a higher resolution option might be a deal-breaker for you. 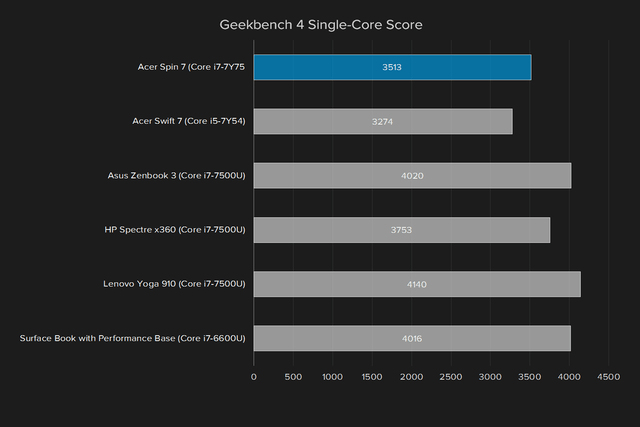 In terms of objective tests, the Acer Spin 7 has decent but not class-leading results. 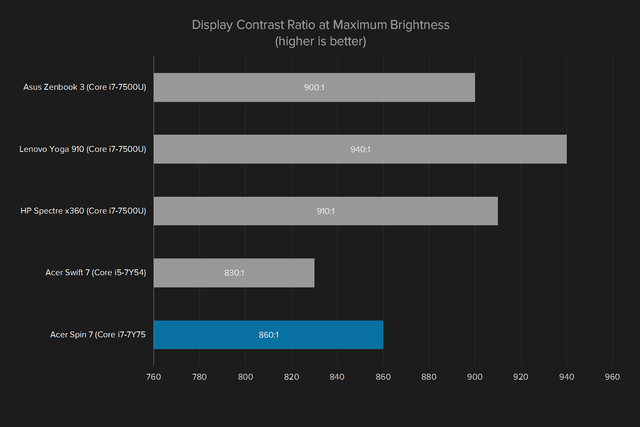 Display contrast was near the bottom of the comparison at 860:1. That’s good, but mobile displays have improved drastically in this metric over the last two years, and so the Spin 7 is a bit behind most competitors. 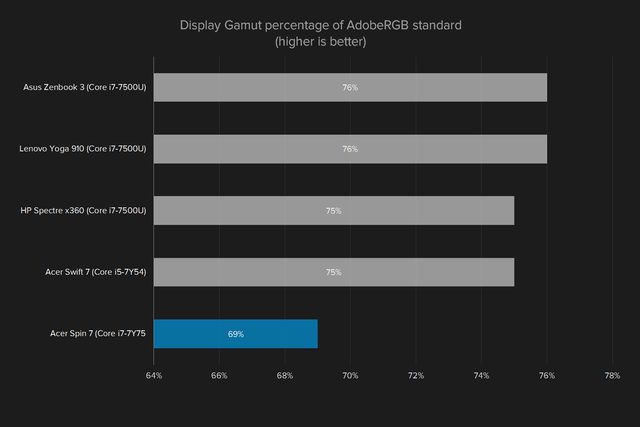 Color gamut was also on the low end, at 69 percent of AdobeRGB and 93 percent of sRGB — again, not terrible scores, but not competitive with other similar systems. 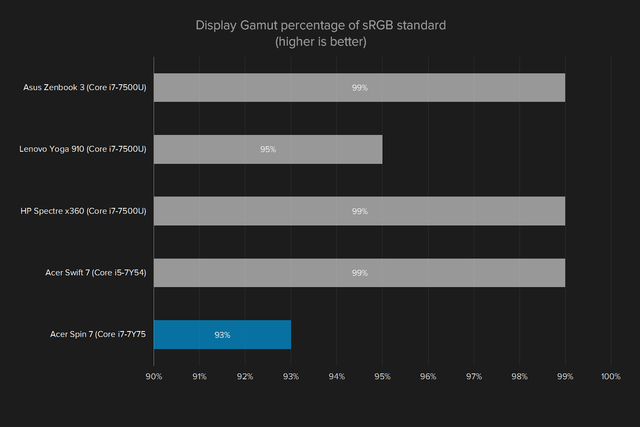 Most of the comparison machines display 95 to 99 percent of sRGB. Next up, color accuracy wasn’t the best at 2.53. 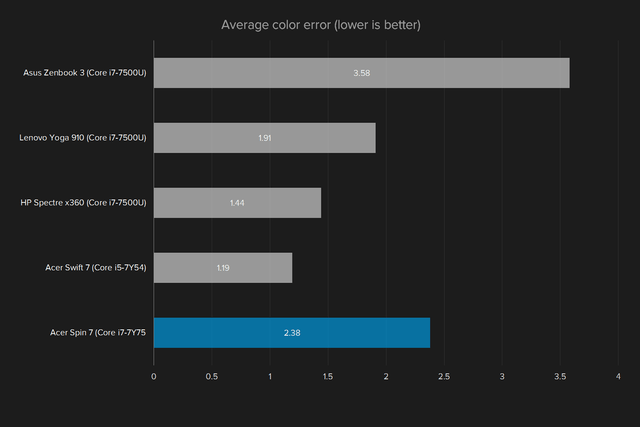 A score of less than one means the error is generally unnoticeable by the human eye, and so the Spin 7 won’t be the most accurate display for anything that requires highly accurate colors, though it’s not terrible. The Asus Zenbook 3 was worse at 3.58, but the sibling Swift 7 was much better at 1.19. Subjectively, the Spin 7’s display is just bright enough at 265 lux for all but the brightest environments, such as outside during the day under a clear Southern California sky. While colors aren’t the most accurate per our objective test, they look vibrant on-screen, so watching video and viewing pictures – without worrying about their colors being particularly precise – was pleasant. Ultimately, the Spin 7’s display is decent, but for the money it’s not a great display, either. The HP Spectre x360 has a better display, and so does the Lenovo Yoga 910, which is available with either a 1080p or 4K panel. The speakers use Acer’s TrueHarmony audio technology, along with Dolby Audio, that promises an enhanced experience for games and movies. Sound is fine, but it’s not anything to write home about. At full volume, you’ll lack bass, as expected, but mids and highs are pleasant enough for background music. Volume itself is sufficient to fill a small room, but you’ll be wanting external speakers if you’re hosting a party, or headphones if you’re listening to some tunes while you work. 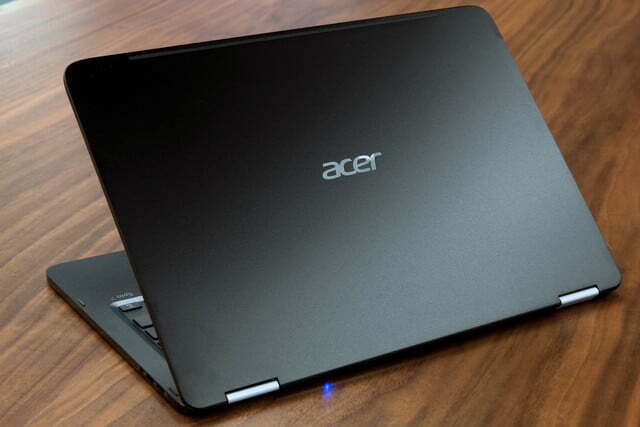 The Acer Spin 7 uses Intel’s Core i7-7Y75 processor, which some consider to be a bit of a bait and switch. While it carries the Core i7 moniker, the CPU is more similar to the previous generation’s Core M designation. That means that it’s an ultra-low-power dual core CPU designed to run at 1.3GHz with 3.6GHz Turbo clock rate. 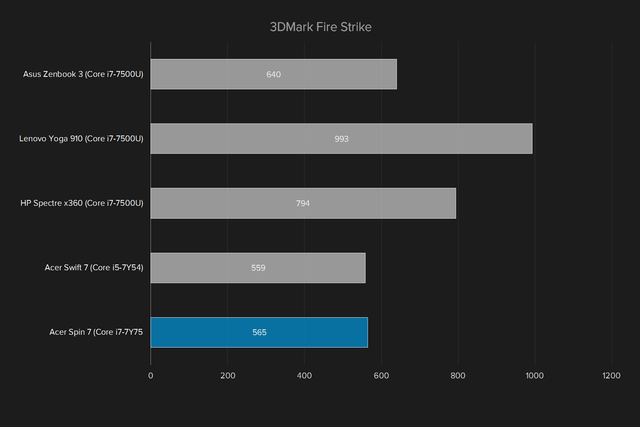 This compares to the more traditional Core i7-7500U CPU that runs at 2.7GHz, with a 3.5GHz Turbo clock. What that should translates into in the real world is very low power use, and so better battery life in relative terms – more on that later — and, perhaps more important, less heat. Thus, the Acer Spin 7 is a fanless system. It never makes a sound. 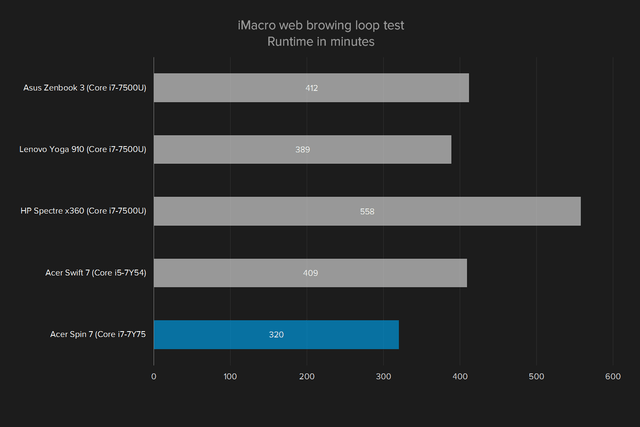 That’s great when using the machine in a quiet environment, but it doesn’t help in performance benchmarks. No, the Spin 7 isn’t the quickest machine on the block. 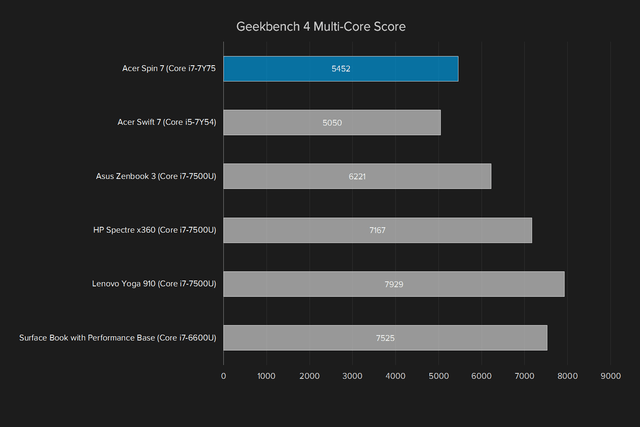 Its Geekbench results were lower than all the comparison machines except the Acer Swift 7, which we reviewed with the even-slower Intel Core i5-7Y54 CPU. 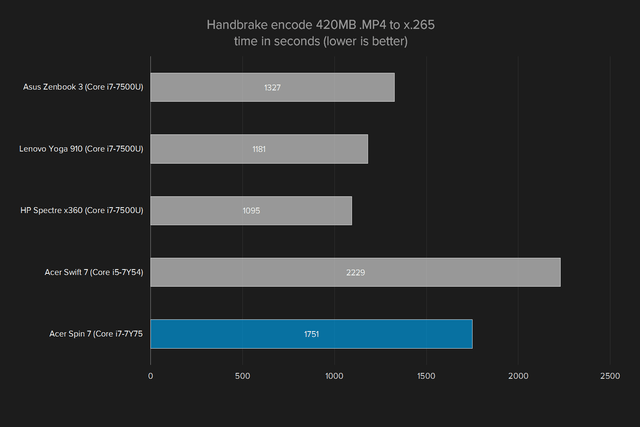 It’s the same with the Spin 7’s Handbrake test, where it encoded the 420MB test video in 1,751 seconds, also second slowest, and just in front of the Swift 7. In use, the Acer Spin 7 demonstrated that it’s just fine for typical office productivity tasks, email, and web browsing. However, you won’t be wanting to use it to edit large photos or render video, or really any task that requires a fast processor. The Acer Spin 7 uses SATA to control the Kingston 256GB SSD, not the faster PCIe NVMe controller. That’s a bit disappointing at this price point, and it impacts performance. Compared to other machines in this class, the Acer Spin 7’s hard drive performance isn’t anything to get too excited about. 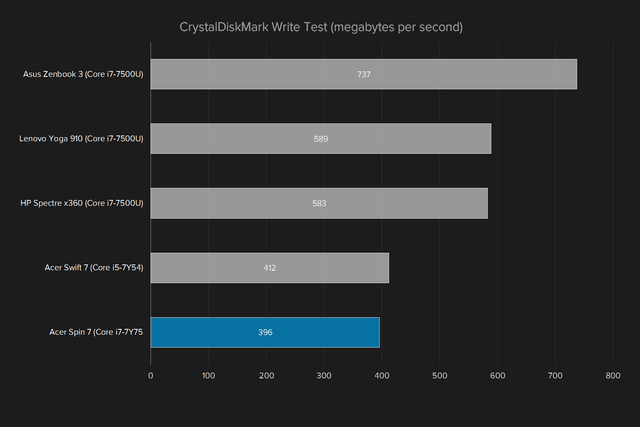 While it competes with the other machine using an SATA controller, namely its sibling the Swift 7, the Spin 7 falls well behind machines using PCIe controllers that don’t cost that much more. The Spin 7 managed around a third of the read performance of the PCIe-controlled machines, and significantly slower write speeds as well. As with the CPU, it’s not like the Acer Spin 7 is a slow machine by any stretch of the imagination. It feels plenty fast in typical use, and it boots quickly enough. It’s just that if you need to perform any tasks that require accessing or saving huge files, the Spin 7 isn’t going to be the quickest choice. It’s becoming something of a mantra in this review, but the Spin 7 also utilizes a pedestrian component in terms of its GPU. It eschews a dedicated GPU — no surprise given the lack of a fan to keep things cool, not to mention the machine’s thin frame — and instead uses the Core i7-7Y75’s standard integrated Intel HD 615 GPU. As can be expected given the parts, synthetic benchmark performance is somewhat less than with the comparison group. It’s only matched by its sibling the Swift 7, which uses a similar GPU. You’re not going to be interested in the Spin 7 if gaming is an objective. 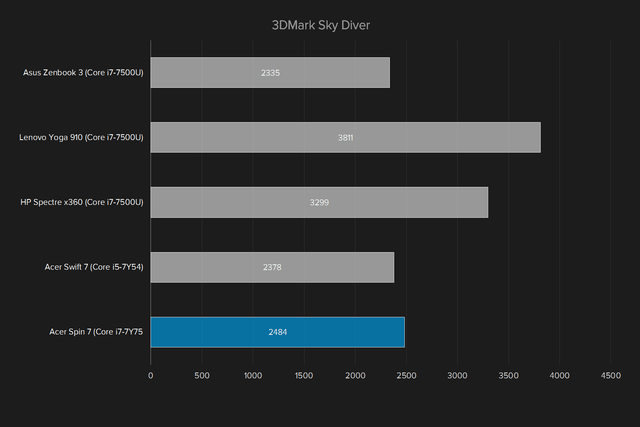 For some reason, the Spin 7 did exceed the Asus Zenbook 3’s performance on the 3DMark Sky Diver test, but it was behind that machine in Fire Strike. Just for kicks, we tried out Battlefield 1 to see if the synthetic benchmark results would carry over into actual gaming. On medium detail at 1080P, Battlefield 1 averaged 7 frames per second. At ultra detail at 1080p, the game was essentially a slideshow at an average of 4 fps. Simply put, the Acer Spin 7 isn’t a gaming system. 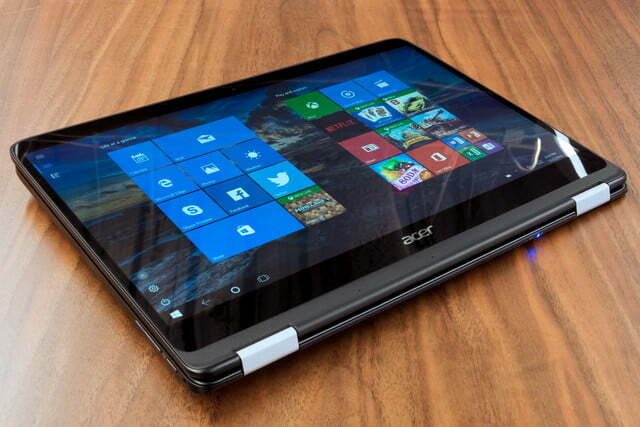 The Acer Spin 7 is equipped with a 4-cell 42 watt-hour battery, which is about average, or maybe even a bit larger than some other extremely thin machines, such as the HP Spectre with its 38 watt-hour battery. Acer provides an eight-hour estimated battery life for the machine, but even with the low-power CPU, that estimate is a bit optimistic. Therefore, we weren’t surprised that battery life was a bit underwhelming. In our web browsing loop, which mimics using a PC for typical web surfing, the Spin 7 managed only five hours and 20 minutes, which is significantly less than the Acer Swift 7 achieved, and well behind the other comparison machines. Of course, the Spin 7’s 14-inch display naturally uses more battery power than a 13.3-inch display, and so you’re giving up some longevity for the slightly larger screen size. The Spin 7 also uses a Core i7 versus the Swift 7’s Core i5. The Spin 7 doesn’t have a terrible display, but it’s not great, either. 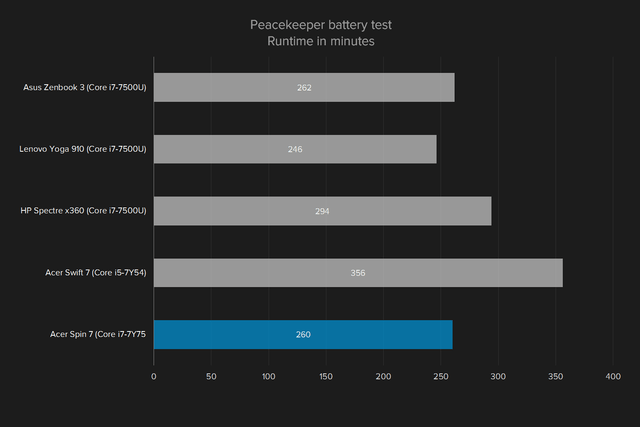 In the more demanding Peacekeeper test, which mixes in video, graphics processing, and more intensive computational activities to the typical web browsing load, the Spin 7 only managed four hours and 20 minutes before it shut down. That’s significantly less than the Swift 7’s almost six hours, and just about equal to the Asus Zenbook 3’s four hours and change. 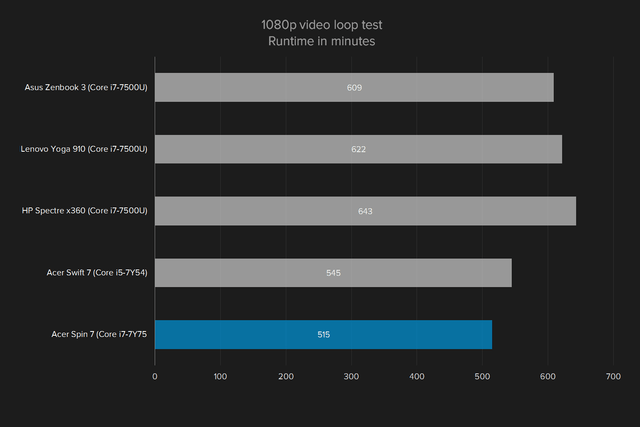 Finally, the Spin 7 managed eight hours and 35 minutes in our video looping test. That’s also not a particularly impressive showing, meaning that the Spin 7 is not going to be the ultimate choice if you need to use the machine for a full day’s work away from a power outlet. The Acer Spin 7’s use of a low-power Core i7-7Y75 CPU not only resulted in mediocre performance, but it failed to pay dividends for battery life as well. That makes the Spin 7 a poor choice in terms of portability, even if it’s incredibly thin and relatively light. Acer didn’t bog down the Spin 7 with any unnecessary software. The machine comes installed with Windows 10 Home, the typical Office 2016 trial, and a few Windows 10 games. Acer also included a few vendor-specific apps, such as the Acer Care Center and Recovery Management apps, to help with keeping the Spin 7 up and running. The Acer Spin 7 comes with a standard one-year warranty. Acer doesn’t advertise any extended warranties for the machine. The Acer Spin 7, when looked at from the perspective of a machine that’s meant to tackle typical office productivity tasks, email, and web browsing, is a PC that’s going to do the job while taking up minimal space in your bag. It’s not the fastest, and it doesn’t last the longest, but it does simple jobs well. Unfortunately, it’s priced next to faster competitors, and its diet doesn’t do enough to justify the premium. If the Acer Spin 7 were a few hundred dollars less expensive, than we’d say it’s a great choice compared to other thin and light 2-in-1 machines. But at its $1,250 retail price, it’s a hard sell compared to machines like the Lenovo Yoga 910 and HP Spectre x360. While those two systems aren’t fanless, nor quite as thin, they offer significantly better performance and battery life. The Yoga 910 can be had for around $1,180, and the Spectre x360 for $1,050, in similar 8GB RAM and 256GB SSD configurations. They’re not only more powerful, but less expensive as well. 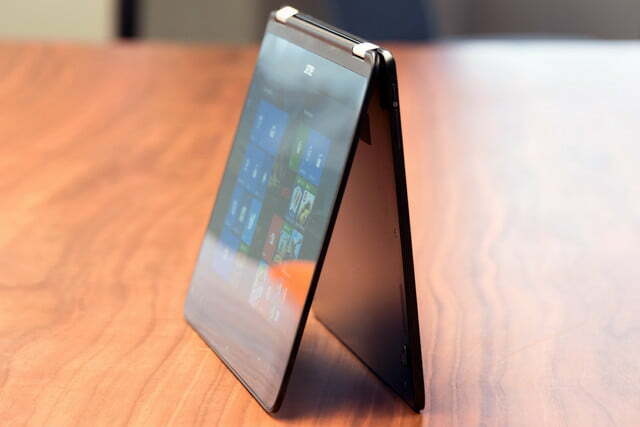 Ultimately, you’ll only buy the Spin 7 over the competition if you want the thinnest Windows 10 2-in-1 around. The Acer Spin 7 uses the latest, low-power, Kaby Lake processor, and has 8GB of RAM. Both of those specs indicate that it will remain current, and handle demanding office productivity applications for quite some time. 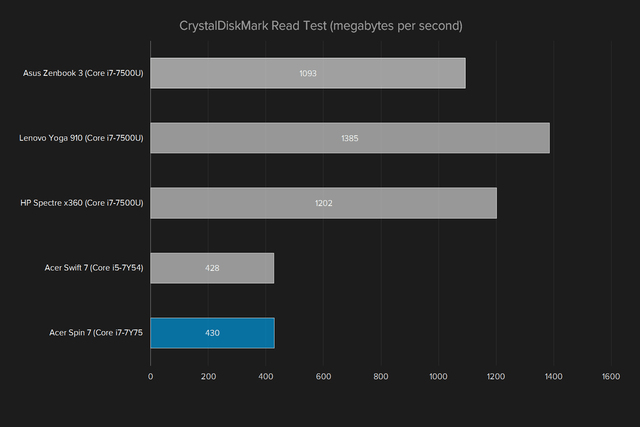 The limited space of the 256GB SSD should be kept in mind if you can’t rely on cloud storage. However, the machine does include USB Type-C connections, so it keeps up with that industry trend. The Spin 7 offers a good compromise of an incredibly thin design with solid materials. It’s also completely silent, which is good for taking notes in business meetings and classrooms without worrying about bothering neighbors. 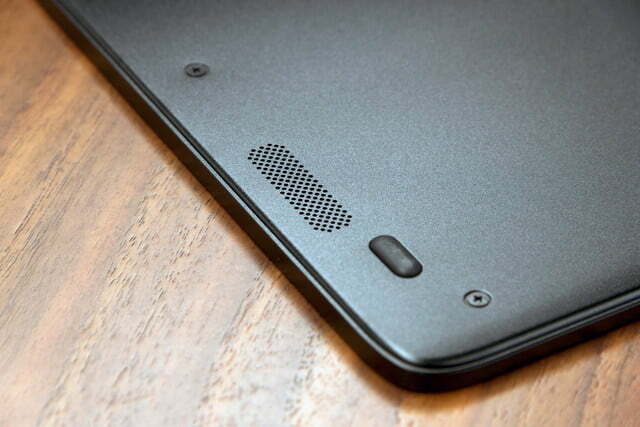 In addition, the Spin 7, for all its thinness, is a pleasure to hold and use. It feels like a quality machine, and has a good keyboard and touchpad — if you can get used to the touchpad’s sheer size. This is a machine that you can toss into your backpack and hardly feel its weight. However, you pay a premium for the utmost in thin and light Windows 10 2-in-1s, and must tolerate sacrifices in performance and battery life. You can buy a machine like the Lenovo Yoga 910 for less, and it will perform better, while also lasting longer on a charge. In the end, we can’t recommend the Acer Spin 7. Acer succeeded in making the thinnest 2-in-1 machine so far, but we’re not convinced users prefer super-slim design over performance and battery life.